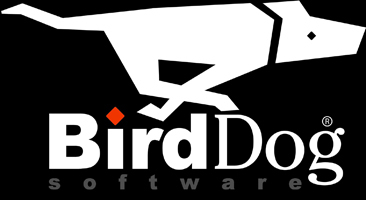 What can BirdDog do for your business? You are able to serve your customers in the way they want you to with an online sales portal with BirdDog Ecommerce. With BirdDog Ecommerce, orders can be placed anytime and anywhere, less mistakes are made and customers are better served. The BirdDog Ecommerce sales portal will save time and money, make your business future-proof and eventually result in higher revenues. and performance your B2B business needs. Instant order processing with real-time pricing and stock checks, customer-specific pricing & discounts and integrated payment gateways. Must-have features for a B2B business: quick-order, re-order, customer specific catalogs and more. Responsive designs which are easy to adjust to the look and feel of your company. See at a glance the key metrics that matter to your business and get recommended. Get the most out of your web shop. The intuitive WebManager has never been so easy to use. The user experience of your customer is the main priority with the use of convenient browsing and personal ordering preferences. Up-to-date product information and availability within reach, thanks to the integration with your ERP. Multiple stores in various countries, available in many languages, plus the use of different currencies. Developers are able to start right away with our SDK & API, training materials and access to the community. BirdDog eCommerce is a B2B e-commerce platform that helps manufacturers and wholesalers and distributors efficiently run their business and improve their customer service through easy online order processing and a 24/7 online access of product information. BirdDog eCommerce makes a B2B e-commerce web store simple to setup and run because it seamlessly integrates with Macola 10, Macola ES and Macola Progression ERP systems.